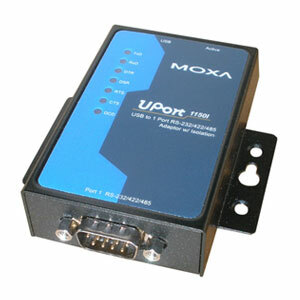 We here have an isolated USB to RS232 / RS485 / RS422 converter from MOXA. 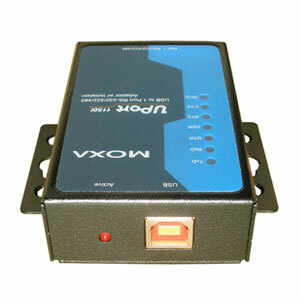 As a leading manufacturer of data communication products MOXA has made this industrial grade optically isolated converter available in a 1-port version, which we recommend for all applications requiring a good product. Not only does the UPort 1150I offer all three serial interfaces (RS232, RS485 and RS422) but it also has all handshake signals (DTR, DSR, RTS, CTS, DCD) active and illuminated with LED light indication, which is a great feature when troubleshooting communication problems. A special interesting feature of this converter is that it has built-in "Pull-high", "Pull-low" and termination resistors. These can be set to 1K ohm, 150K ohm and 120 ohm respectively by DIP switches inside the converter. 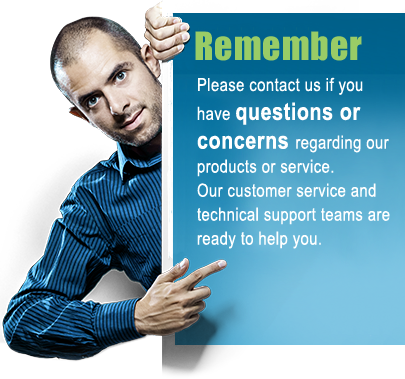 This feature is particular useful when communicating with sensitive serial devices or over long distances and with high baud rates. 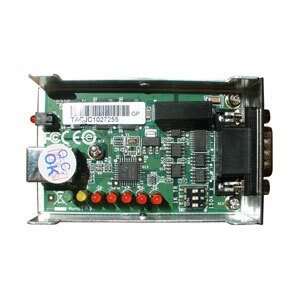 The main feature of this converter however is that it is fully optically isolated for up to 2KV by three Dual-Channel Digital Isolators (1200ARZ) from Analog Devices, which effectively will protect the converter, your data and your equipment against damaging voltage spikes, ground loops and other voltage surges. Most converters of this type only supports 2-wire RS485 and RS422, however a nice feature this converter has is that it supports both 2-wire RS485 and 4-wire RS485, in addition to RS232 and RS422 signaling. 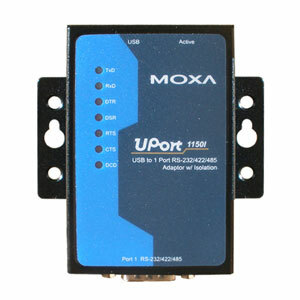 As other converters in the MOXA UPort family the UPort 1150I is also designed around the high performance TUSB3410 processor chip from Texas Instruments which allows the user to configure several advanced port parameters, which makes it ideal for most advanced applications and configurations. 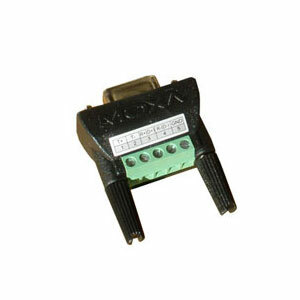 Communication wires can be connected directly to the DB9 connector however included with each converter is a DB9 screw terminal header block which makes connecting single wires easy.